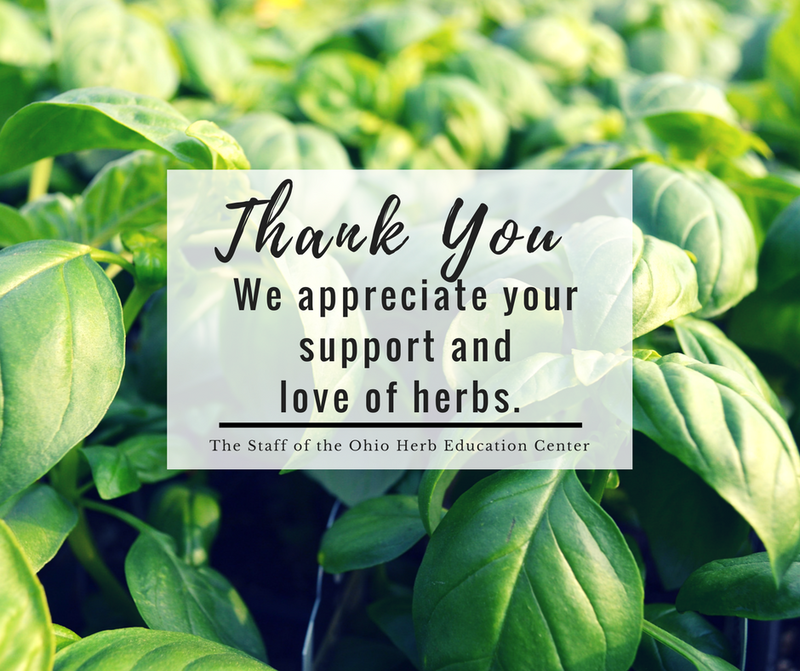 Building on our mission to educate the public about the benefits and various uses of herbs in everyday life, the Ohio Herb Education Center offers a variety of learning opportunities. Whether you are looking for new culinary twists, in-depth gardening advice, wellness information or ideas on how to use your herbs, we offer programs that inspire you to try something new. One-time sessions on a single topic that rotate seasonally. Check back quarterly or join our Facebook page or email mailing list. A series of classes that allow participants to delve into specific areas of herb education. 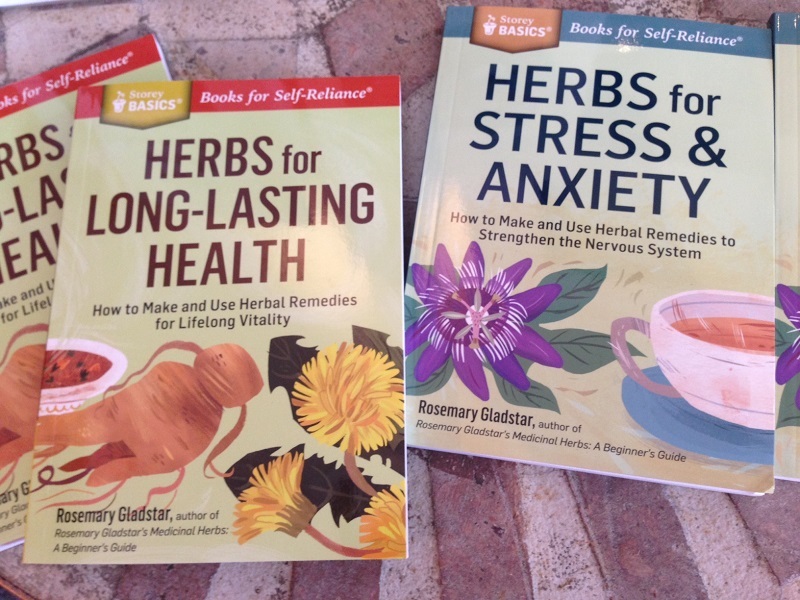 Herbal education is a lifelong study. Intensives are a series of classes providing a more immersive experience. Students study with the herb center staff as well as herb experts from around Ohio to learn botany, in depth herb profiles, herbal folklore and history, and culinary or wellness approaches. Moving beyond lecture, students also examine and experiment with herbs using multi-sensory techniques and learning practical, hands-on applications. Intensives courses require curiosity and commitment, but students find they gain a new and deeper understanding of herbs. 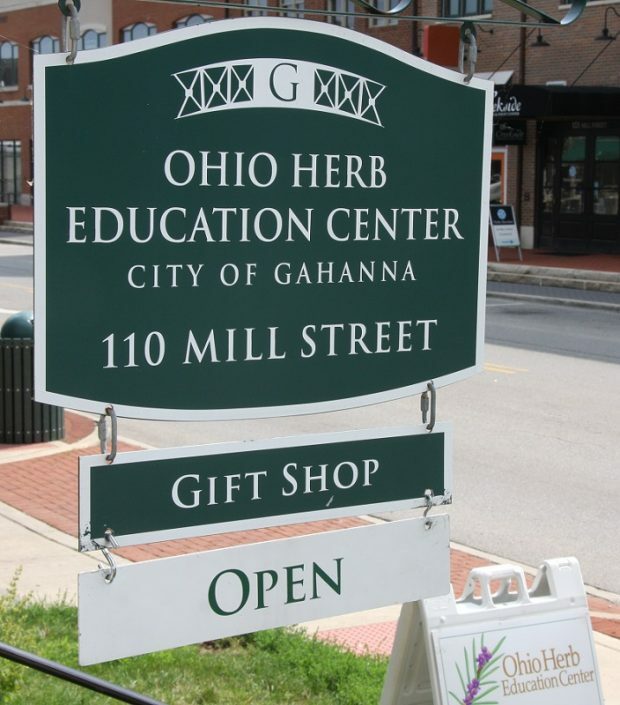 The Ohio Herb Education Center is located in the City of Gahanna, the Herb Capital of Ohio, just east of downtown Columbus and adjacent to Port Columbus. As head of the Herbal Trail, we can create an herbal experience that your group will not forget. 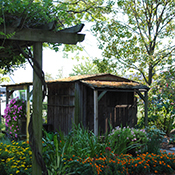 For more information on what Gahanna has to offer, visit the Gahanna Visitors Bureau. Plan your visit today! Sometimes the right combination of herbs and liquids can create a not only a healthy drink but a tasty beverage too. This class will simplify the complex art of brewing herbal teas. Learn new techniques like infusions and decoctions; understand what makes a tonic different than a tea and when to brew one or the other. Discover the allure surrounding elixirs. Herbs can be the signature part of a culinary experience with their sweet, tart, and pungent flavors. Discover the fun facts about popular kitchen blends such as Herbs de Provence. Learn new ways to enhance every day recipes with herbals salts, sugars, butters and simple syrups. Participants come away inspired to create their own culinary creations using herbs. Receive herbal “eco friendly” ideas for cleaning your home. Natural cleaning products made right in your own home provide better indoor air quality, greatly reduce the use of toxic products, and help save money. Learn how to make your own home-made soft scrub, herbal laundry aids, window cleaner, and herbal air fresheners. Before texting, emails and even phones, people used to communicate with plant bouquets. Floriography, the language of flowers, was a practice that focused specific meanings and messages in the arrangement and with particular flowers and herbs. We will discuss the history of this practice and how it has been transformed through the ages, particularly by the Victorian era. Learn the secret messages of some of our favorite garden herbs. 1 1/2 hour and 2 hour demonstrations available, please call for details. This hands-on craft allows participants to experience how easy it is to incorporate herbs into a simple take home product. Each craft is themed to match the related experiential workshop. Contact the Herb Center at 614.342.4380. 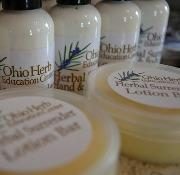 The Ohio Herb Education Center gift shop has that unique gift for the herb lover in your life. 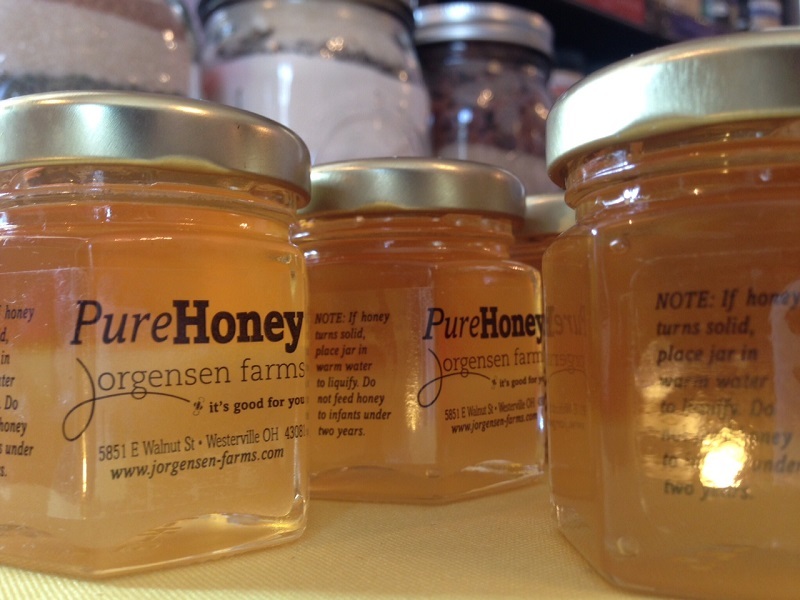 Inside you will find local honeys, custom selected teas, custom scented candles, tea presses and tea accessories. Our books are a selection of great resources on herb gardening, cooking, and herb craft. Looking for a unique space to hold your next event? 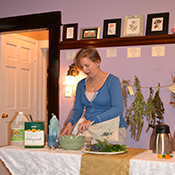 Consider the Ohio Herb Education Center’s parlor. 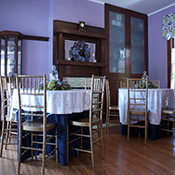 Suitable for parties of 20-25 people, this historic space offers the options of three refinished round tables, two porches and a kitchen. For $25.00 the Ohio Herb Education Center can supply insulated cups and hot/iced tea of your choice for your event. Herb Center Parlor Rental Forms are available for information on rental policies and rates. two porches and a kitchen. 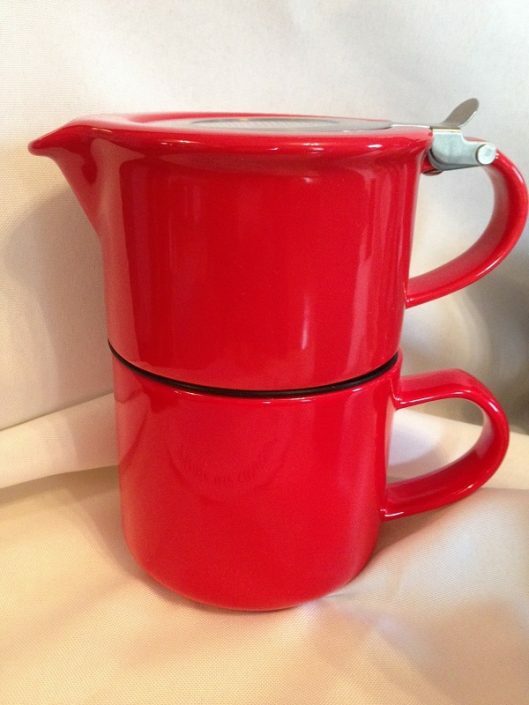 hot/iced tea of your choice for your event. 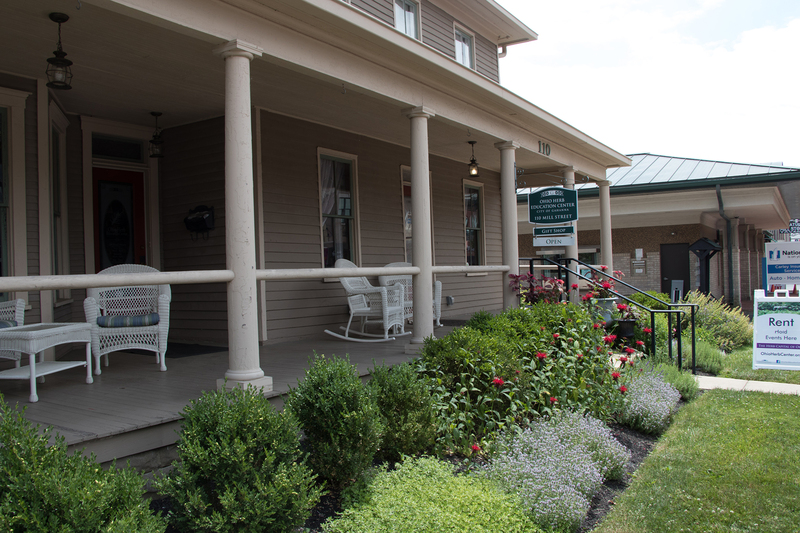 The Herb Center is located in the City of Gahanna — the Herb Capital of Ohio — just east of downtown Columbus and adjacent to Port Columbus International Airport in the heart of Gahanna. The Nafzger-Miller house, in which the Herb Center is located, is listed in the National Register of Historical Places with the original structure being built in 1855 and additions made to the home in 1910. The center includes a gift shop, parlor and kitchen and is used for classes, parties, meetings and rentals. Sign up to volunteer by contacting our volunteer coordinator at herb.center@gahanna.gov. Now hiring camp counselors and lifeguards! All pool and camp leadership positions may qualify for internship credits.